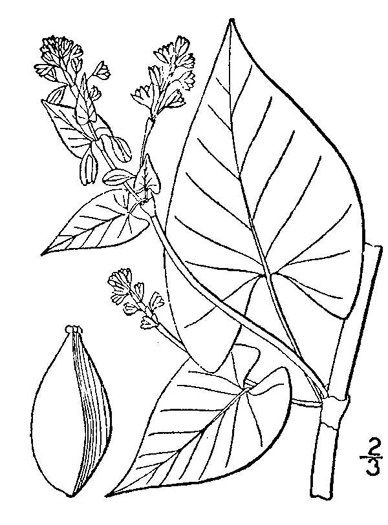 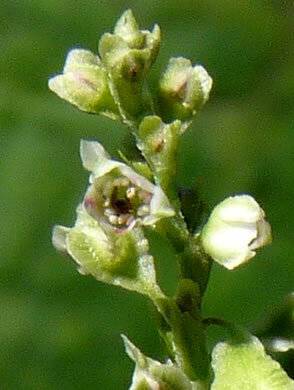 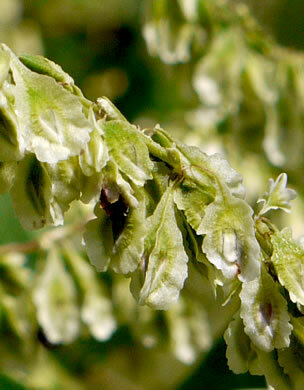 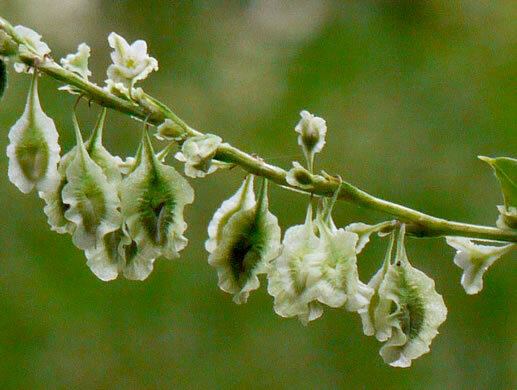 Flowers borne in unbranched racemes (vs. branched in P. cilinode), per Wildflowers of the Southern Mountains. 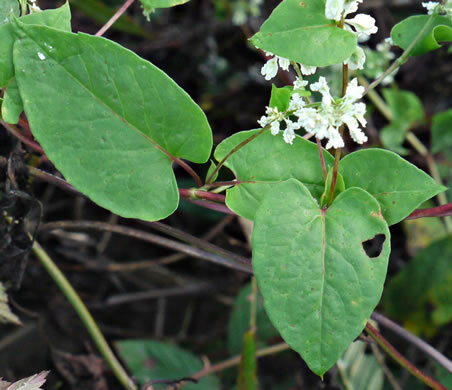 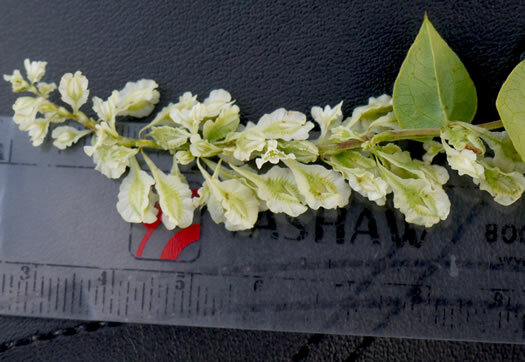 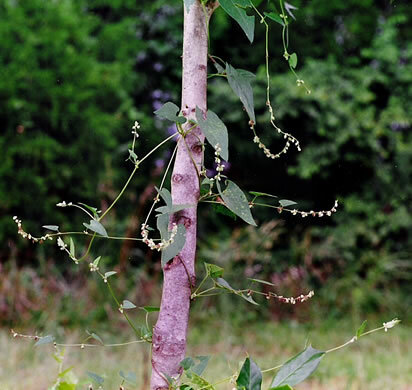 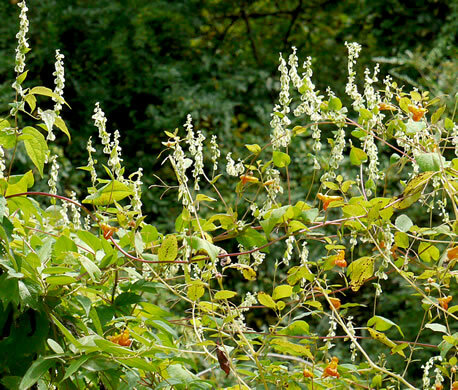 Calyx with a distinctly wavy or tattered margin and wing-keeled in fruit, per Wildflowers of Tennessee. 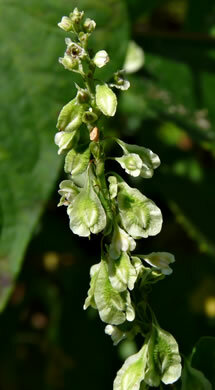 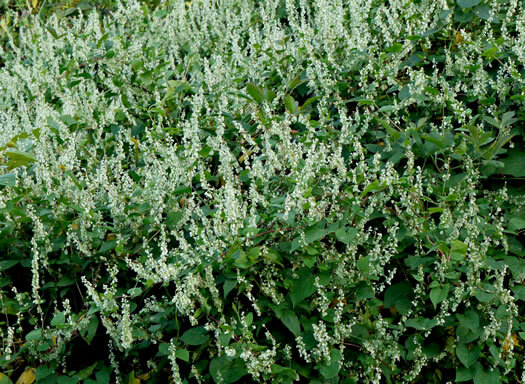 Flowers white or tinged with pink or green, in unbranched racemes, per Wildflowers of the Southern Mountains. 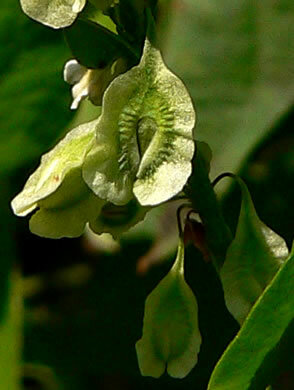 Fruiting perianth wings decurrent on stipelike base, per Weakley's Flora. 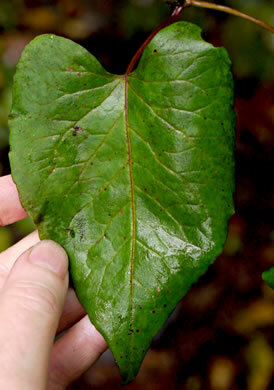 Leaves 2-5" long, oblong-ovate to ovate with heart-shaped or sagittate base, per Wildflowers of Tennessee.